The Mystic Krewe is excited to present another of our amazing Live From the PinChurch shows, this time featuring a legendary New Orleans band that’s been around for decades. The Iguanas! We will be streaming this event live, one-time only at http://live.mystickrewe.com/ but there are a limited number of public tickets available – see below! What if Americana actually encompassed ALL of North America? You’d have the Franco – Acadian inflections of Canada, as best exemplified by le accordion, blues and jazz, the only truly indigenous musics the US has ever produced, and the lilting grace and fiery passion of the music of Mexico. You’d also have New Orleans’ premiere distillers of this continental musical melange, The Iguanas! 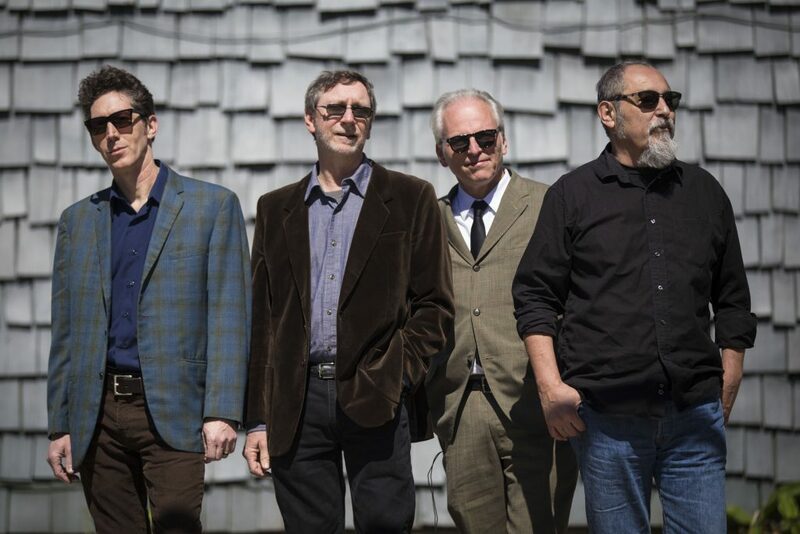 Based out of New Orleans for the past couple of decades — save for a short, Katrina-imposed exile in Austin — the members of the Iguanas have (collectively or individually) played or recorded with everyone from Charlie Rich, Alex Chilton, and Willie DeVille to Emmylou Harris, Allen Toussaint, and Pretty Lights. yet the inescapable patina of their hometown infuses every note they play. LIMITED TICKETS AVAILABLE – SEE BOTTOM OF PAGE FOR ORDER FORM! TICKETS ARE SOLD OUT! THANK YOU ALL! How do the pre-order ticket work? There are no walk-ups. This is a show in a private studio, with a very limited number of public tickets. The show will be professionally recorded for later showing, along with a one-time live stream. Pre-order tickets here and you will be e-mailed directions to the show (in Metairie, just a few minutes from New Orleans proper) – the doors open at 7pm and the show will start around 8:30pm. There are all sorts of fun things going on at the live party. If you can make it, you don’t want to miss this opportunity – use the form above!